The wolf is a cunning, intelligent creature, capable of out thinking hunters. It can teach you how to read the signs of nature in everything, how to pass danger invisibly, how to outwit those who would wish you harm, and how to fight when needed. Wolf is closely connected to Earth, Air, Fire and the Moon. 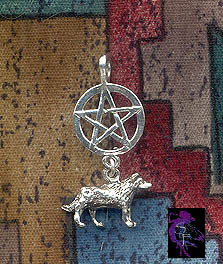 Wolf magic involves becoming of one mind, communication, endurance, hunting, and stealth.